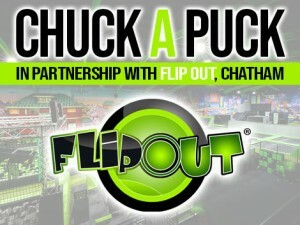 Supporters can sign up to play ‘Chuck a Puck’ on the way into the venue on game night with entry priced at just £1 per puck. During the second period break entrants will then be invited to attempt to slide or throw their puck to the centre spot with the closest to the mark winning the prize. Previous story INTERVIEW: Ryan Finnerty Discusses Chance Braid!